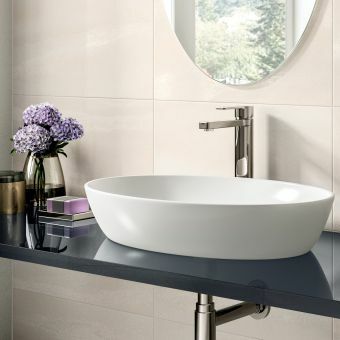 Boasting outstanding form and superior grade construction, this thin profile countertop basin is a beauty to behold. 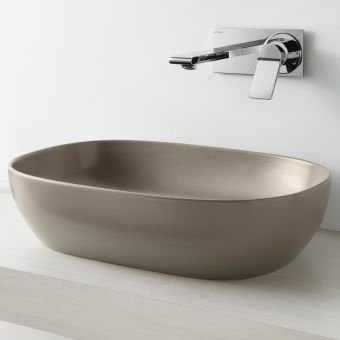 The Avillas wash basin from Crosswater has a meticulous eye for the little details and using the finest clay materials and casting techniques available, Crosswater has created a basin that sets a new trend in design and functionality. 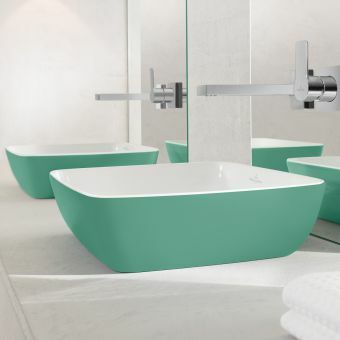 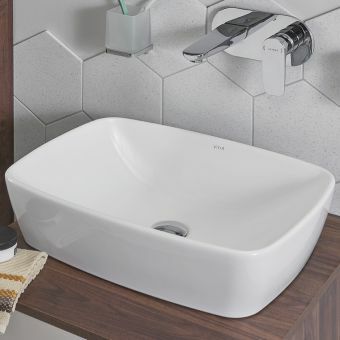 The thin, crisp edges of the bowl are exquisite and will provide you with a completely coordinated look in the bathroom that will allow you to show off its best features in a classy way. 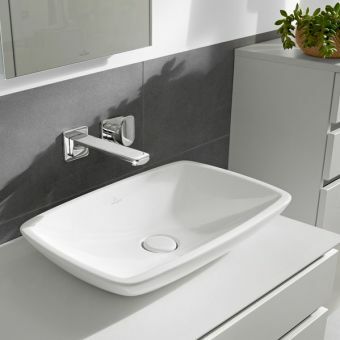 Coming in two basin sizes of 540 x 360mm or 600 x 410mm, there should be one that will be a perfect fit for your vanity unit or worktop. 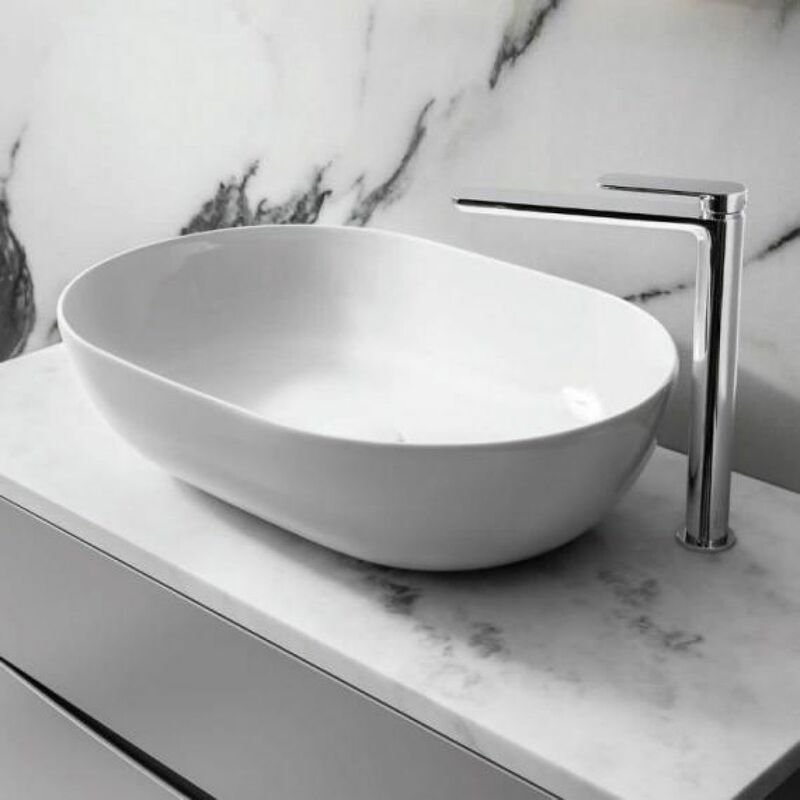 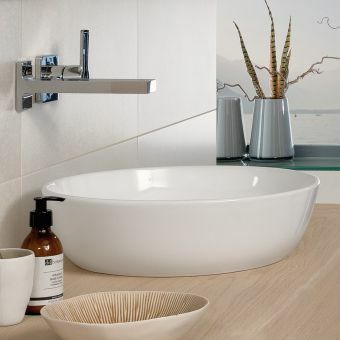 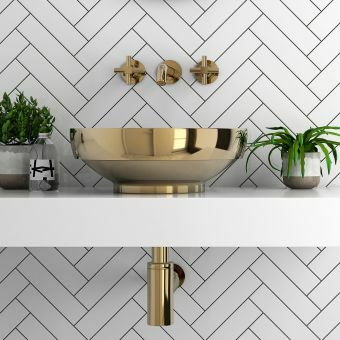 As it is supplied without a tap hole or overflow which would disrupt its aesthetic lines, you will need a tall basin mixer that will clear the edges of the basin which looks simply dramatic when filling the bowl. 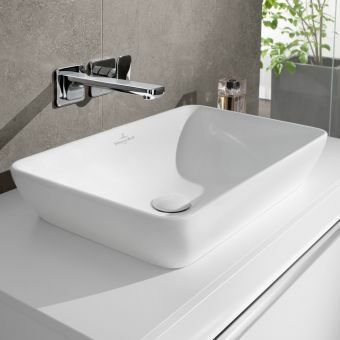 This is an elegant and classy way to update your bathroom conveying a sense of luxury with the backing of Crosswater's 15-year guarantee.